Here at the DC, we’re all about positivity, affirmative action and working hard to achieve our goals while looking towards the future. While sometimes it’s easier to focus on the lighthearted side of things it’s important to remain realistic, remembering that the reality of a situation can be very different to how it’s portrayed by books, movies, and the media. For instance, I have spoken to someone who was annoyed at the depiction of dementia in the rom-com The Notebook starring Rachel McAdams and Ryan Gosling. The movie version of Nicholas Sparks’ novel showed an almost miraculous recovery of memory, an ‘awakening’ as such and that despite having advanced Alzheimer’s the character looked super healthy. In reality, someone at the end of Alzheimer’s Disease would probably be sleeping a lot, struggling to even sit up and with very limited speech. The same has been said by our founder, Emily-Jane Stapley who spoke recently of mis-portrayal of dementia. 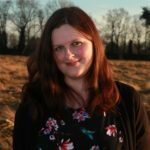 Emily spoke to someone whose Granddad had dementia. They said that their granddad ‘was fine’ and lived at home with his wife who looked after him. They mentioned that he was ‘a bit forgetful’, but then he had a fall which induced a heart attack that he later he died from. Talking of their grandfather, they said that ‘he was old anyway’. The version of events told by the individual to our founder, we don’t doubt is true; however, some progress less further into dementia than others. If someone has early-stage dementia they may still live at home with their spouse or family, or even, alone. What is important to understand though is that as dementia progresses and someone reaches late-stage, there is much more to be understood and many more challenges to be aware of. 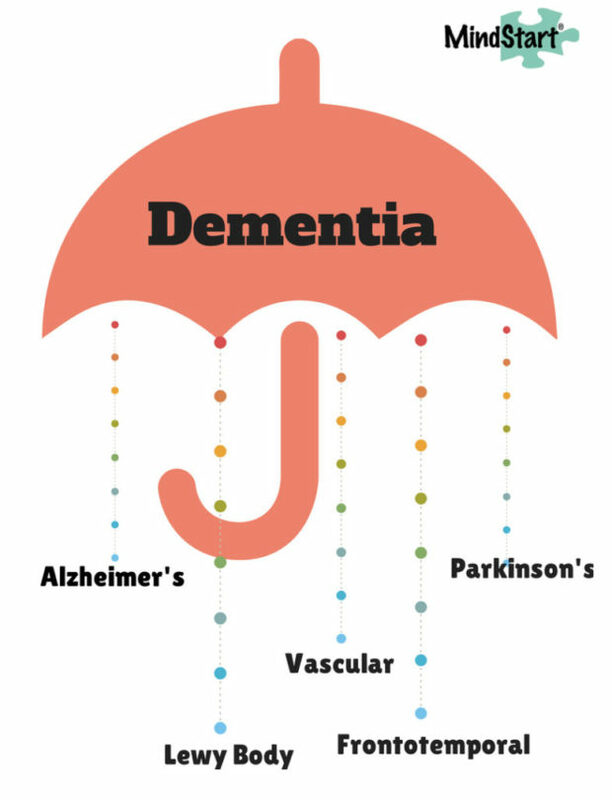 Not understanding the severity can lead to individuals being misunderstood in society and a lack of empathy generally for those with diseases under the umbrella term of dementia, such as Alzheimer’s disease. It seems many people cling on to this Disneyesque version of dementia, that telling a story or reading from a diary will bring them ‘back’ but it doesn’t work like this. While reminiscing can help retain memory, or bring back bits and pieces once Alzheimer’s has progressed to the later stages it is often impossible to communicate, as we would with a loved one beyond very simple words that is in very late-stage. Others believe that living with dementia is ‘fine’ because beyond being a bit forgetful, it’s not too bad and you’re looked after by family. Others say ‘they were old anyway’ or ‘well, it’s just a matter of time!’ I’m not sure when we started to become flippant about dementia- maybe this has always been the perception of older people ‘going a bit dotty’, either way, none of these terms or assumptions are fair, true or considerate. We wouldn’t say ‘oh well, it was bound to happen’ to someone with a cancer diagnosis, would we? Yet, the two diseases are both progressive, with horrendous symptoms, they affect everyone differently and are terminal. So why all the jokes about being ‘soft in the head’ ‘a bit senile’ or, worse, an acceptance that dementia is ‘normal’ for older people? In order to dispel this myth that having the condition is somehow inevitable and that as long as they’re looked after their fine. Let’s take a closer look at Alzheimers Disease, the most common type of dementia. 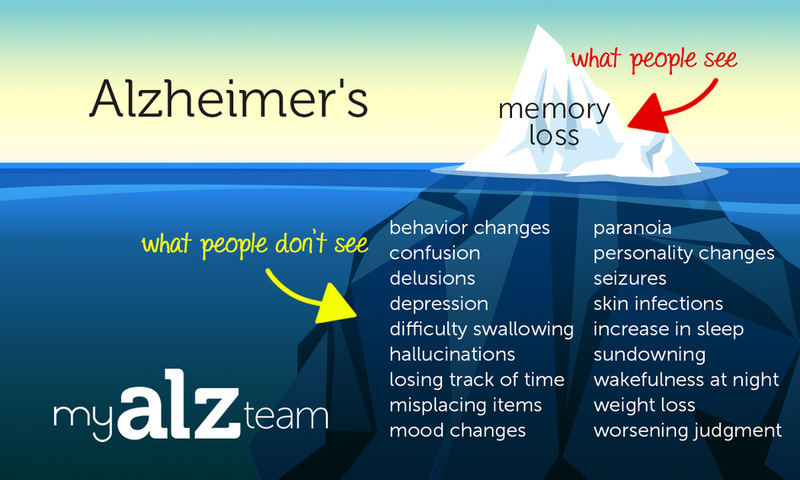 Alzheimer’s Disease, named after Alois Alzheimer, a German psychologist and pathologist is a neurological brain disease that predominately affects over 65’s. It is a long-term, progressive illness and one of many different types of condition that come under the umbrella term ‘dementia’. Alzheimer’s is an extremely expensive disease and while there are various treatments available there is still no definitive cure. Once diagnosed, the average life expectancy for someone living with the condition is around three, to nine years but of course, that can vary. It is a progressive condition, however, according to the Alzheimer’s Association, it’s normally split into around seven stages as broken down by Dr. Barry Reisberg, of New York University. 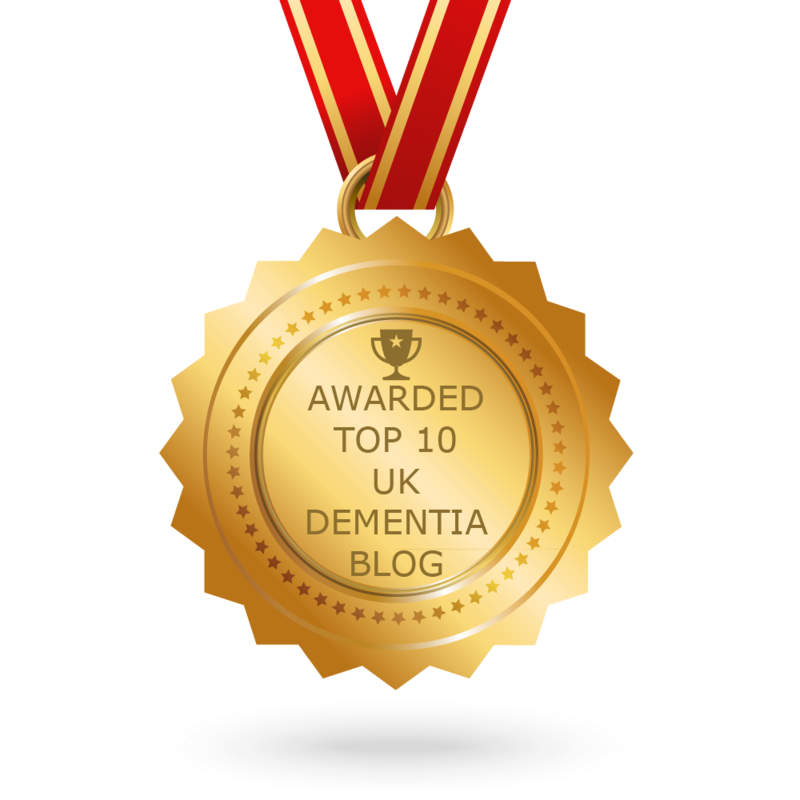 Instead, of simply listing each of Reisberg’s stages again here, I have taken the factual principles and I’m going to demonstrate in my own words, in reality how each stage can affect someone’s everyday life and the challenges of living well with dementia. There is no trace of Alzheimer’s in the brain and you’re probably fairly fit, active and enjoying life however you’ve chosen to live it. You’re able to recall happy, joyful memories and can pinpoint where you left your keys every single morning. Family and friends are a massive part of your life and you probably are enjoying an early retirement, or may still be working hard in order to keep your brain active for longer. You may, or may not begin to notice you’re getting a little forgetful. You’re sure you left your keys on the hall table but your husband insists they’re actually in your jacket pocket. After a quick look, you realise they’re right and wonder why you left them there but dismiss it quickly. You laugh and make a quip, ‘memory’s not what it used to be’ and you smile and carry on with your day. You’re still able to recall events and are leading an active, healthy normal life. A routine check-up indicates everything’s A-OK and you perform well on a memory test quiz. They might not have said anything yet but your family is getting a tad worried. You’ve noticed yourself that you’ve become a bit more forgetful – you almost left your purse in a coffee shop last week and totally blanked on putting your bins out on recycling day. You’re sure the BBQ was next Saturday, in fact, you’d have bet money on it but it turns out it’s this weekend and now you’re flustered. You’ve now taken to carrying around a little notebook to remind you of things and have struggled to recall the names of the couple you were introduced to at church the other week. You find yourself pausing during conversations more frequently. The right word’s on the tip of your tongue and any minute now you’ll remember – except you don’t. You book a doctor’s appointment and your GP tells you, based on what you’ve told her, that she’s going to refer you to a memory clinic to do a couple of tests. Your memory test results indicated there’s a high possibility of Alzheimer’s Disease and further conversations lead to a diagnosis of the condition. However, you’re feeling positive as there’s lots of help and support out there and family are showering you with love. You’ve looked at the ‘living well with dementia’ literature and are well aware that things will change but it’s not all going to happen overnight. In fact, years can go by before Alzheimer’s Disease progresses to the next stage so you’re not too worried although you’ve had to cut back your commitments. Indeed, maths seem a little harder and you’re struggling to recall just what year it was you got married, or if you’d moved out by the time such and such happened. Somehow, bills have become confusing and so you’ve decided to hire an accountant or put your partner in charge of the finances. You’re not sure what you had for breakfast, but your son assures you it was toast and jam although you were pretty sure that was yesterday. Things have become a little harder to manage and you’ve ended up wearing a skirt, and underwear but no top or shoes a couple of times. It’s easier if a loved one lays out your clothes the night before, or you have someone to help you get dressed. There’s a large, white sticker in your purse with your telephone number on because you can’t seem to remember it anymore. You became a little confused in the supermarket the other day and couldn’t seem to find your way out, or remember where to go to pay for your shopping so now your daughter takes you weekly. Regularly you find yourself thinking fondly of your childhood. It’s easier to recall those memories than more recent events and you love seeing your grandchildren but sometimes struggle to remember their names. Even though getting dressed doesn’t seem as simple as it once was you’re still able to shower, and bath on your own as well as go to the toilet. Over the last few years things have progressed and now carers come a few times a week to help you wash, and get dressed. You’ve talked about the future and have appointed Power of Attorney over your financial, and medical welfare. A care needs assessment has been ordered as things are getting harder at home, for both you and your family. Care home brochures are sitting on the coffee table and you’re unable to cook now because you forget the oven’s on / cooker is hot. In fact, you need to be watched 24 / 7 because your surroundings no longer make sense and you’re not totally sure where you are when out and about. You don’t mean to get angry or lash out but somehow things are frightening and you really don’t like being frightened. Your carers now wash, dress and help to feed you, and while neighbours pass on their good wishes their names have vanished from your memory. You can now only recall immediate family and even visits from your best friend have started to confuse you. You rely entirely on the calendar to tell you the day and find it almost impossible to remember details from your own life as once familiar events escape your understanding. You aren’t allowed out on your own anymore as you’ve taken to wandering off on a whim. The family bought you an emergency buzzer which you can press if you need help and you wear it around your neck. The decision is made to move you to a care/nursing home for your own wellbeing as it’s become impractical to look after you at home. You no longer have control of any bodily functions and will need daily assisted changing instead of using a bathroom. You now require help with everything: From being fed, dressed, changed, washed and even turned. While family greets you with a smile and a wave, you’re no longer able to remember who’s who but you still feel happy in their presence. Communication isn’t what it was, words and phrases no longer make sense and sometimes you’re silent for a long time. You become very tired quickly, sleeping often, and rely on others for everything. You have little, to no idea where you are and have no insight into how your condition has progressed. In the final stages, you may struggle to drink or swallow. Many advanced Alzheimer’s patients are completely bedbound as physical movement becomes impaired over time. A fear of falling can develop, or an actual fall will lead to prolonged time in bed. If muscles aren’t used regularly then, gradually, muscle wastage occurs and the body becomes too weak to even support itself. Dementia isn’t ‘normal’ it is a brain disease and we must make sure everyone is aware the condition involves so much more than memory loss!